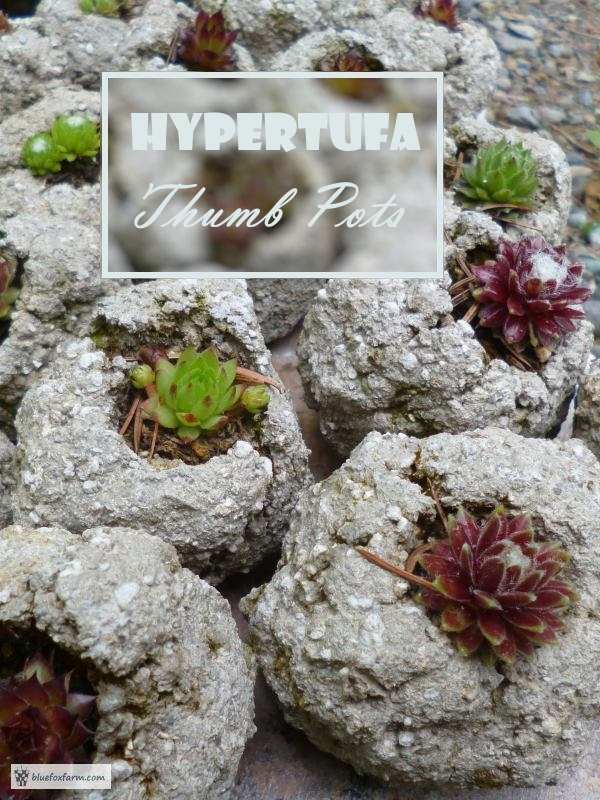 Lots of brides to be are looking for some unique little gifts to give their guests; why not a Hypertufa Thumb Pot? 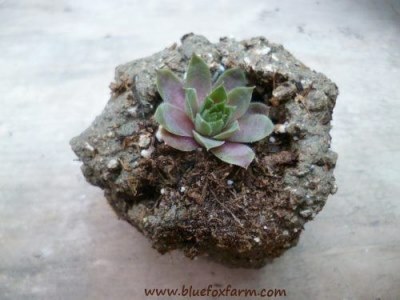 I suddenly had the inspiration for these based on the Hypertufa Pinch Pots, but thinking if you're looking for something small and economical for a wedding favor these seem to fit the bill - and they're super quick to make. 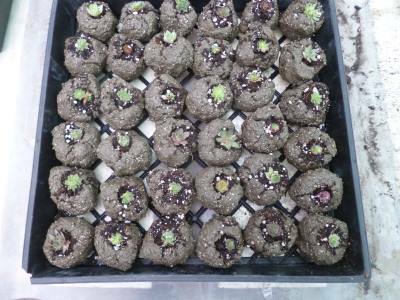 I would make these a month or two ahead of time, to give the plants enough time to fill in and root properly, and maybe wrap some raffia or jute around them with a bow, to hold the name card. What a super, rustic little memento that would be! 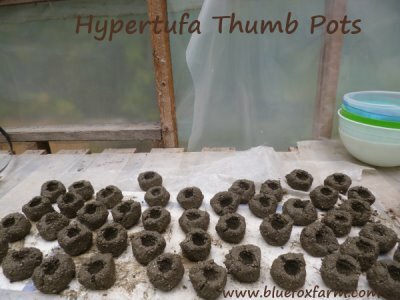 Mix up some hypertufa, according to the directions on the how to make hypertufa page. Take a handful, and roll it in your hands, and poke your thumb into the middle. It doesn't matter if they're a bit off side, or wonky, that's part of the charm. If the mix is too dry, they'll be crumbly, too wet and they will slump, so adjust accordingly after you make a couple. 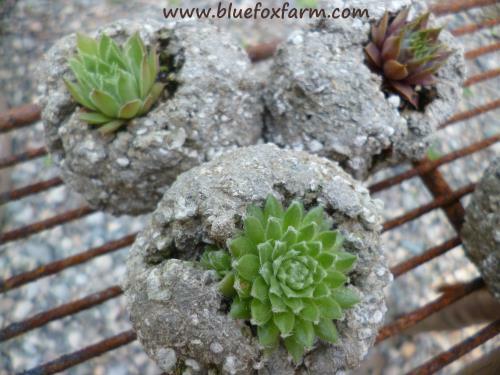 I didn't bother with a drain hole in these because they'll hold such a tiny amount of soil, but if they're to be outdoors you may want to do this once they're set up a little. Poke a small stick into the bottom to make a hole. 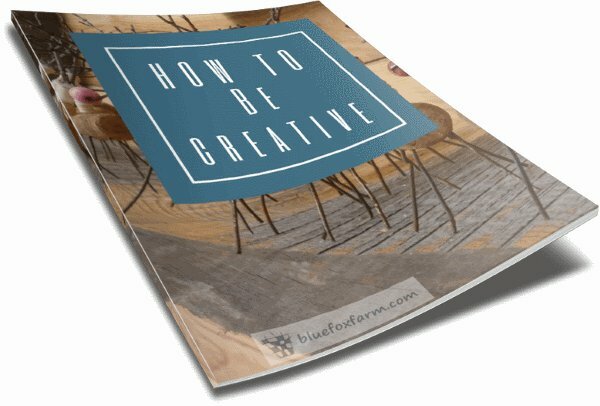 You'll be able to clean it out better once the piece has dried a bit. 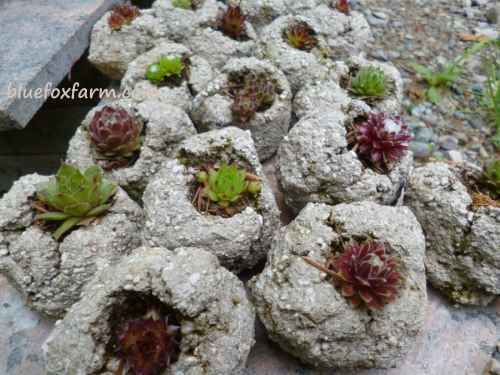 Let them cure properly; in this case, probably a week is adequate, and then you can plant the little Sempervivum in them. 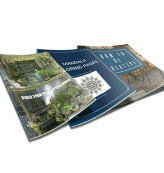 I would probably allow a month or two for the plants to adjust to their new living quarters so plan ahead to have these ready for your big day.